Car wraps are an innovative and cost-efficient way to advertise your business, particularly if you provide local services within your community. Because car wraps are a relatively new form of advertising, there are many myths about them that hold people back from trying them out. Here are some of the most common myths about car wraps and other vehicle graphics – and the real truth behind them. Myth #1: Car wraps can damage your vehicle. Most of the stories of car wraps damaging someone’s vehicle come from instances where they weren’t done by certified professionals. Putting together a car wrap is very complex, and if it isn’t done correctly, it could cause some scratches or aesthetic damage. However, when you have a professional team putting your wrap on, there’s no risk of damage. In fact, the car wrap will actually protect your paint job from any damage it might have incurred otherwise. Myth #2: Once you have a wrap on, it’s hard to get off. To the contrary, vehicle wraps are specifically designed to be easy for professionals to take off. Once you have a vehicle wrap, it is actually very easy to change it out as desired to suit your current advertising campaign. Vehicle wraps come off with heat, and when done correctly, they will come off with no residue. Myth #3: If you put a car wrap on your window, you won’t be able to see out of it. Car wraps that go over windows are designed with very small holes so that you can see clearly from the inside when they are on the windows. While they look opaque from the outside, on the inside you can see clearly out for safety. Before you get a vehicle graphic put on, the company will assess your vehicle and determine where the most appropriate places to put the graphics are, taking into consideration not only aesthetics but the safety of the driver and the vehicle as well. Carwraps.com offers premium car wraps in Los Angeles, California. 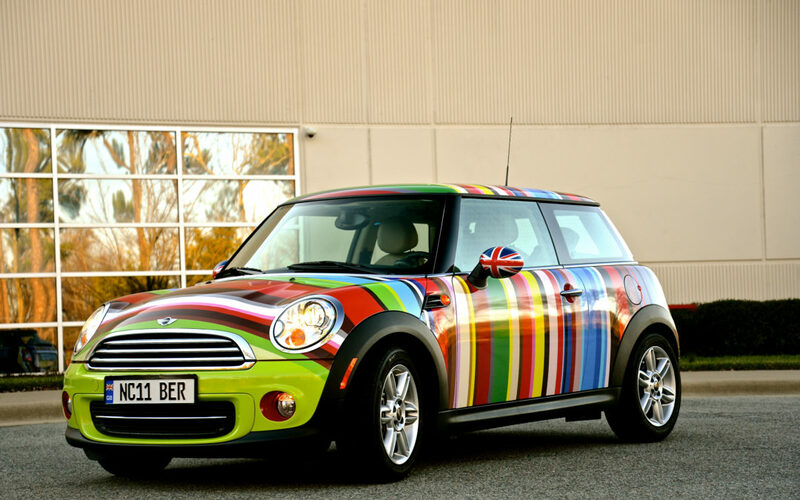 Car wraps are an excellent way to promote your small business around town.